Ragi or finger millet is an ancient food product that was consumed in the southern parts of India. But it has experienced increasing popularity in recent years due to its high nutritive and therapeutic value. Ragi flour is a potent source of complex carbohydrates followed by protein and fiber and minimal amount of fat. Ragi also contains wholesome amount of calcium and iron along with niacin, thiamin and riboflavin along with some amino acids. All these nutrients work together to promote healthy eating, aid natural weight loss, act as a gluten-free source of protein and great non-dairy source of calcium. 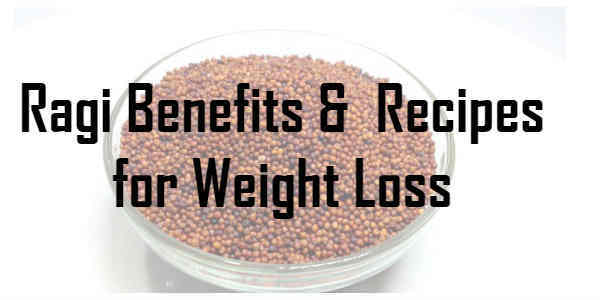 Promoting natural weight loss is one of the best ragi benefits. Ragi is a potent source of dietary fiber that keeps the stomach full for a longer period of time and prevents the craving for unhealthy foods. 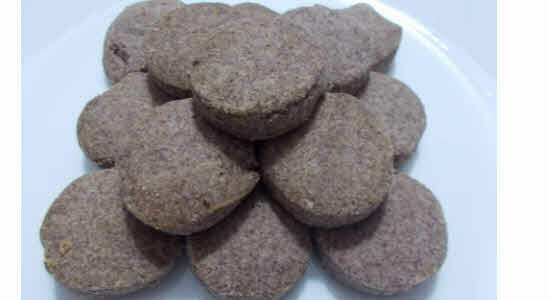 Ragi also contains an amino acid Tryptophan which lowers appetite and helps in losing weight. 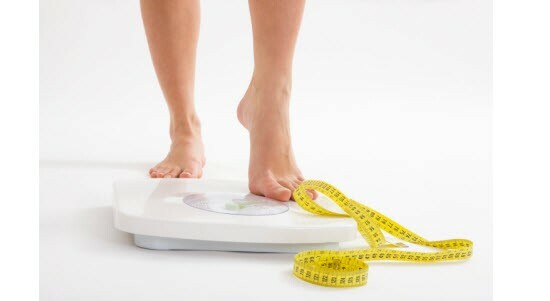 This amino acid gets digested at a slower rate and prevents overeating. The coats of ragi are loaded with antioxidant polyphenols and dietary fiber which makes it a low glycemic food. The high amount of dietary fiber slows down the breakdown and digestion of ragi which helps to maintain blood sugar within a safe range. It is best to include ragi in your breakfast to make the most out of its blood-sugar controlling benefits. Deficiency of iron in the body leads to anemia and various other iron-deficiency diseases. Ragi is an excellent source of natural iron which helps to raise hemoglobin levels in anemic patients. Once the ragi sprouts the vitamin C level in these seeds increases, which facilitates the absorption of iron in the bloodstream. For optimum absorption of iron, you can consume ragi in the form of ragi dosa or ragi balls prepared with plenty of vegetables. Ragi is one of the best non-dairy sources of calcium, which is much higher compared to other grains. 100 grams of ragi contain 344 mg of calcium which is essential for developing healthy bones and teeth and preventing osteoporosis. 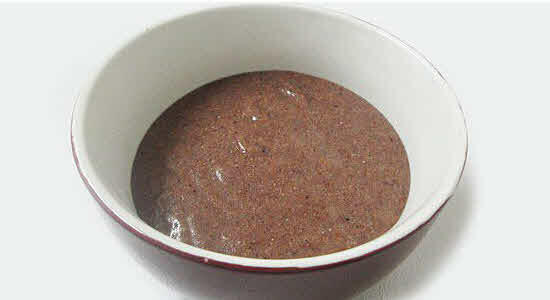 Ragi porridge is extremely beneficial for growing kids. The generous amount of amino acids and antioxidants present in ragi helps the body to relax and unwind. It helps to deal with conditions of depression, anxiety and insomnia. It helps to promote restful sleep and cures migraines. In the early stages, when ragi is still green, it helps to lower high blood pressure and control hypertension. It also helps to regulate cholesterol levels in the blood by reducing the rate of plaque formation and minimizing the risk of blocked blood vessels. 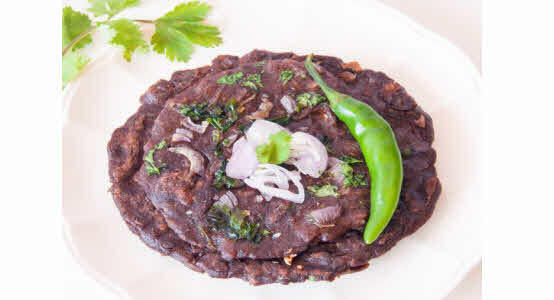 This a healthy low-calorie Indian flat bread recipe prepared with ragi flour. It makes minimal use of oil, just for pan searing the roti. 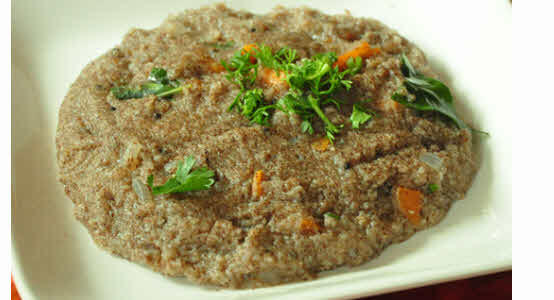 The inclusion of carrots and mild spices makes it one of the best ragi recipes that can be enjoyed by the whole family. Mix all the ingredients except water in a large bowl. Now, sprinkle water and mix the flour. Continue to add water to the flour as you knead it. Once the dough is prepared, divide it into medium-sized balls. Take a clean cotton cloth and immerse it in a bowl of water. Squeeze out the excess water from the cloth and spread it on a flat platform. Put the ragi flour ball on the center of the cloth and pat it with your palm to make a circular shape. Once you achieve a more or less circular shape, stop patting. Heat a tava on the stove, adjust it to medium heat. Lift the cotton cloth containing the ragi flour roti with both hands and invert it over the tawa so that the roti is on the tava and the cloth is upwards. Remove the cloth slowly as the roti sticks to the tava. Add little oil around the roti and close the lid. Remove the lid and turn the roti to the other side. Cook for 1 to 2 minutes and then remove from heat. Ragi porridge or ragi malt is one of the healthy and nutritious ragi flour recipes that can be consumed on a daily basis to promote weight loss and improve overall health. 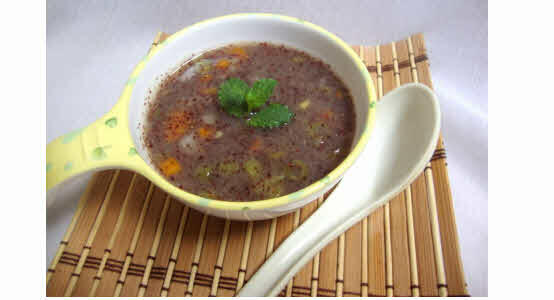 It is one of the mild and non-spicy ragi recipes for babies that help to strengthen their bones and teeth. Soak the jaggery in water and let it melt completely. Stir in the ragi flour and break up the lumps and cook the mixture on low flame until it thickens. Let it cool down completely. Now, add milk as needed to bring it to a smooth consistently and serve immediately. This is one of the most popular ragi or finger millet recipes that is prepared by mixing ragi flour, rice flour, yogurt, water and a few spices. It is extremely easy to prepare and takes only a few minutes to put together. It is a low-calorie ragi recipe that can be served as a breakfast or snack in between meals. Take the ragi flour, rice flour, green chilies and curd in a large mixing bowl and add 1.5 cups of water and salt to it. Mix all the ingredients properly and keep it aside for 30 minutes. Add chopped onions and coriander leaves to the batter and mix well. Heat 1 tsp of oil in pan. Add the mustard seeds, cumin seeds and curry leaves to the oil. Wait till the spices crackle. Remove the pan from flame and pour the tempering over the batter. Heat is dosa tawa over medium flame. Smear some oil on the tawa and pour a ladle-full of batter on it and spread it in circular motion. 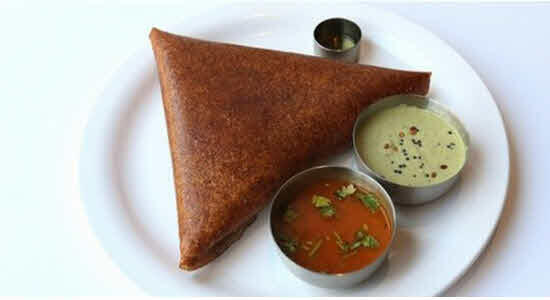 Drizzle 1 tsp of oil around the dosa and cook until the color changes to brown. Now, flip the dosa and cook the other side for 30 seconds. Turn off the flame, fold the dosa and serve with coconut chutney. 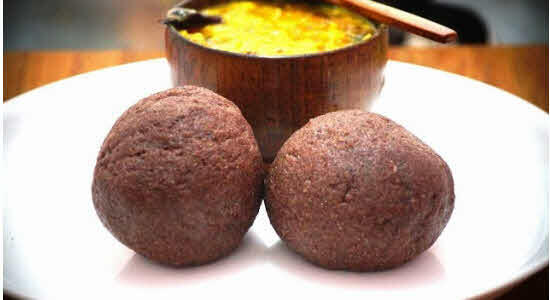 Ragi Mudde is a staple snack in some parts of Karnataka and Andhra Pradesh. It is one of the delicious millet flour recipes that is usually served with leafy greens or dal. This recipe requires just two basic ingredients – ragi flour and salt and the end product is simply amazing. It does not make use of oil or spices which makes it one of the healthiest ragi recipes for weight loss. Take a pot and add the water to it followed by salt and 1 tbsp of ragi flour and mix well to remove the lumps. Cook the mixture on medium flame. Add the flour once the mixture begins to boil. Take off the pot from the stove and stir it continually to prevent the formation of lumps. Bring the flour together to the center of the pot; it will help to trap the steam into the flour. Now, put the pan back on the stove, cover and cook on low heat for 3 minutes without burning. Remove it from flame and let it cool down. When it cools down completely, moisten your palms with water and roll the dough into balls and serve with sambar or your favorite gravy. Using ragi flour for preparing idli transforms the regular idli in to a healthy and nutritious dish that can be served for breakfast or as a snack. This is one of the healthy ragi recipes that do not make use of oil or spices. The entire cooking is done through the process of steaming which keeps it low in calories. Grind the black gram to form a smooth paste. Drain the excess water from idli rawa, add black gram paste to it and mix well. Add the ragi flour to it, mix thoroughly, cover it and keep in a warm place for 8 hours. Heat the oil in a non-stick pan, add mustard seeds and curry leaves and green chilies to it, sauté and add the tempering to the fermented idli batter along with salt and baking soda and mix well. Heat water in a steamer, grease the idli moulds with some oil and pour a ladleful of batter in each mould. Place them in the steamer, cover and steam for 13 minutes. 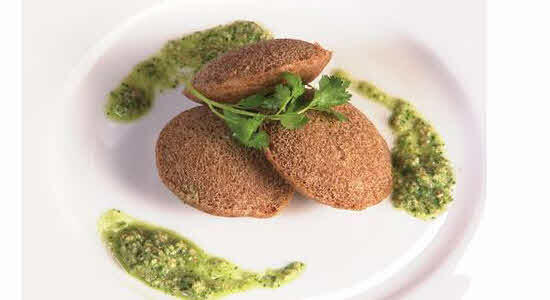 Remove the idlis from the steamer and serve with coconut chutney. Ragi upma is one of the nutrient-rich ragi-flour recipes that can be served for breakfast or as a snack. It is loaded with fiber and iron which makes it exceptionally filling. The addition of assorted vegetables such as carrots and onions makes it healthier and add a nice texture to the upma. Dry roast the ragi flour and semolina in a non-stick pan for 4 to 5 minutes or till the color turns light brown and keep it aside. Heat oil in the pan and add the mustard seeds to it. When it crackles, add the asafetida, curry leaves, green chilies and onions and sauté on medium flame for 1 minute. Next, add the carrots and sauté for 1 minute. Add the ragi-semolina mixture and salt and sauté on medium heat for 2 minutes. Now add 4 cups of hot water and cook on low flame for another 3 minutes or till the water evaporates. Continue to stir the mixture continuously. Add the coriander from top, mix well and keep aside for 2 to 3 minutes before serving. 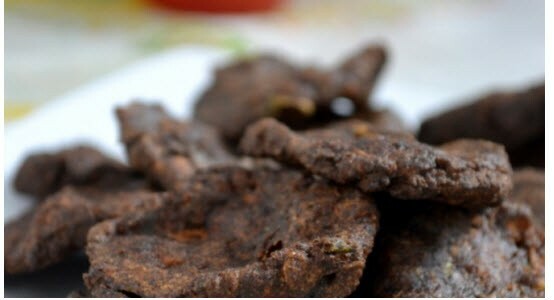 Crispy ragi vada is a tasty and savory snack with a number of health benefits. This is one of the healthiest finger millet recipes that can be enjoyed even by diabetic people. Although, it is a deep-fried snack, it does not absorb oil like other vadas which makes it exceptionally low in calories and fat. Mix the baby onions, curry leaves and green chillies together in a blender to form a smooth paste. In a deep bowl combine the onions paste, ragi flour, chopped onions and salt and knead to form a soft dough. Divide the dough into 10 equal portions. Heat oil in a deep frying pan, fry each of the vadas until it turns golden brown in color. Serve the vadas with tomato sauce. Ragi stew is a simple and light vegetable stew prepared using ragi flour, tomatoes, green peas, carrots and onions. It is one of the wholesome and filling ragi recipes for weight loss that can be served alone or paired with brown rice or whole wheat bread. Heat 7 cups of water in a deep pan and add garlic, onions and coriander to and bring the water to a boil and then simmer for 10 minutes. Add the green peas, carrots, tomatoes, sugar, chili powder and salt and simmer for another 10 minutes. Heat olive oil in a pan and add cumin seeds and bay leaves, when the cumin starts to crackle add the tempering to the stew. Add milk and ragi flour to plain water and add it to the stew mixture. Simmer for another 10 minutes or till your attain the desired consistency. Serve hot with brown rice. 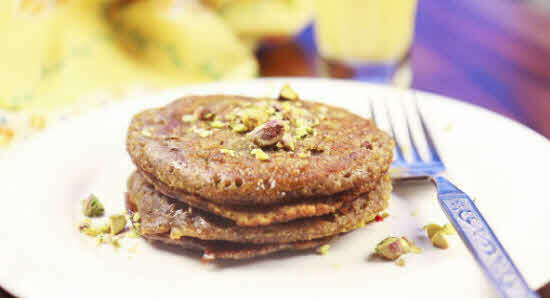 Give a wholesome and healthy touch to regular pancakes by substituting all-purpose flour with ragi flour. The combination of mashed potatoes and ragi flour creates a filling combination loaded with vitamins, minerals and dietary fiber. These pancakes can be served for breakfast or as a evening snack. Add all the ingredients in a large mixing bowl and mix thoroughly to attain a pouring consistency. Heat a skillet on medium flame and grease with little oil. Pour a ladle full of the batter on the skillet and allow it to cook on medium heat for 1 minute. Now, flip the pancake and allow it to cook for another 30 seconds. Serve hot with butter or maple syrup. You can add some chopped nuts or sliced bananas from top to garnish the pancakes. Add a touch of sweetness to your taste buds with these mild sweet and crispy ragi flour cookies that contain the goodness of cane sugar and finger millet. It is a low-calorie recipe for cookies that can be enjoyed as a sweet snack or paired with tea or coffee. Mix the ragi flour and cardamom flour in a deep bowl and then dry roast this mixture on a tawa till the color changes to dark brown. Break an egg into the ragi flour and add the sugar to it. Mix all the ingredients and add the dry ginger and salt to it, followed by the oil and mix well to form a dough. Divide the dough into round ball and then flatten then in your palm. Preheat the oven for 5 minutes. Place a butter paper on a flat dish and put the cookie dough pieces on it and bake for 8 minutes at 180 degree C.
So, replace oats and quinoa with ragi or finger millet which is a low-calorie source of healthy dietary fiber that helps to increase satiety and promotes sustainable weight loss in the long run.